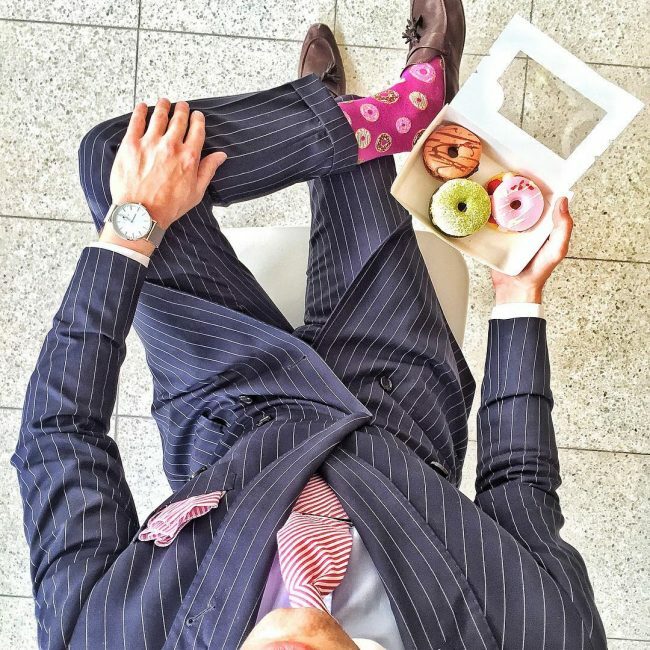 Novelty socks are not only trendy and plain crazy but also lets your personality shine throughout any occasion whether formal or casual. They also brighten up your day and put a smile on your face. 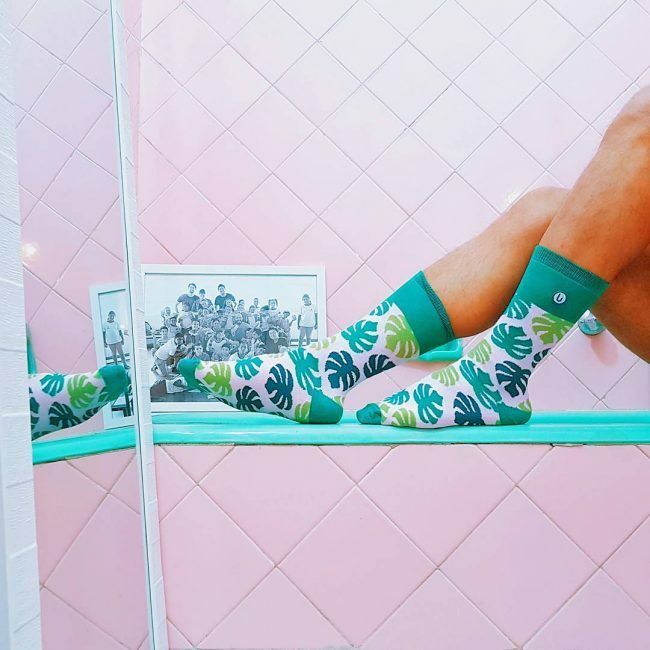 From cheeky slogan socks to cool cartoon character socks, these novelty socks are here to stay. Having said this, here are 40 novelty socks ideas that you can try in 2017. 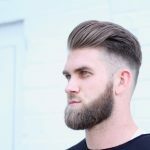 Read on to learn more about these ideas. This pair of socks features a red cuff, short-low heel and toe. Other parts including the leg and foot sections are designed from light blue fabric with some conspicuous random patterns of red, white and yellow. They are important type for casual occasion. 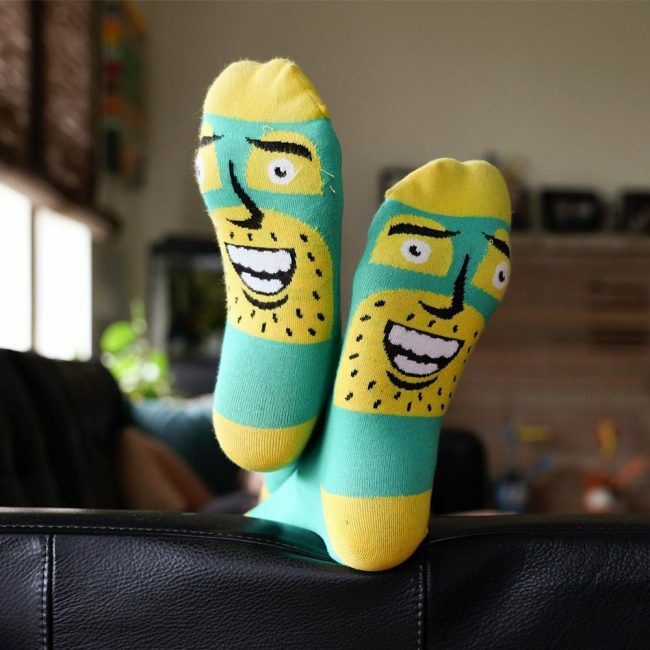 You can cheer up your precious feet with this pair of men’s novelty socks. 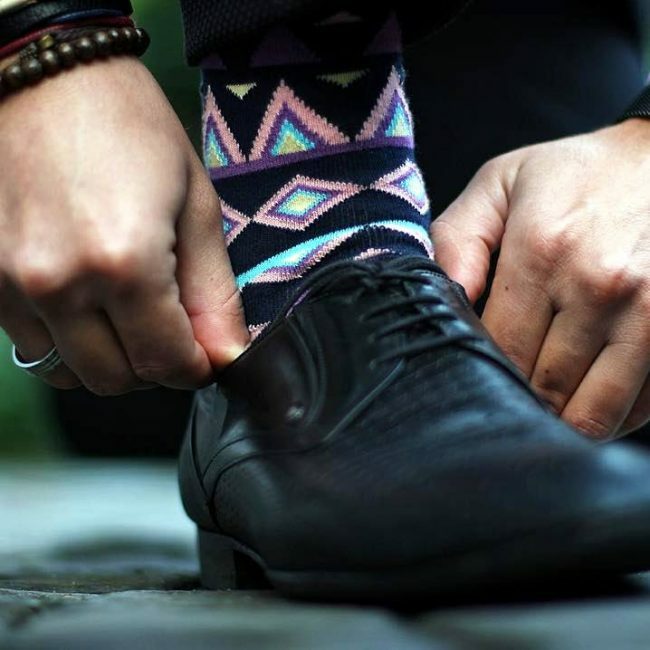 The socks features triangular patterns all over the cuff, leg, short-low heel, the foot and toe parts. These special styles will also brighten your dulling face at any moment. 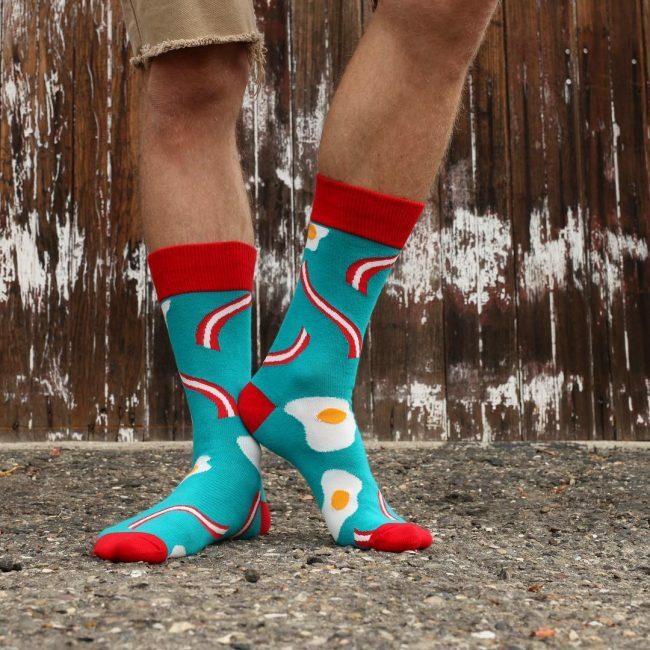 Put your best feet forward with this pair of awesome socks. This model features green color on the cuff, short-low heel and toe. It also features many fun graphic patterned styles on the leg and foot area. There are different sizes to choose from. 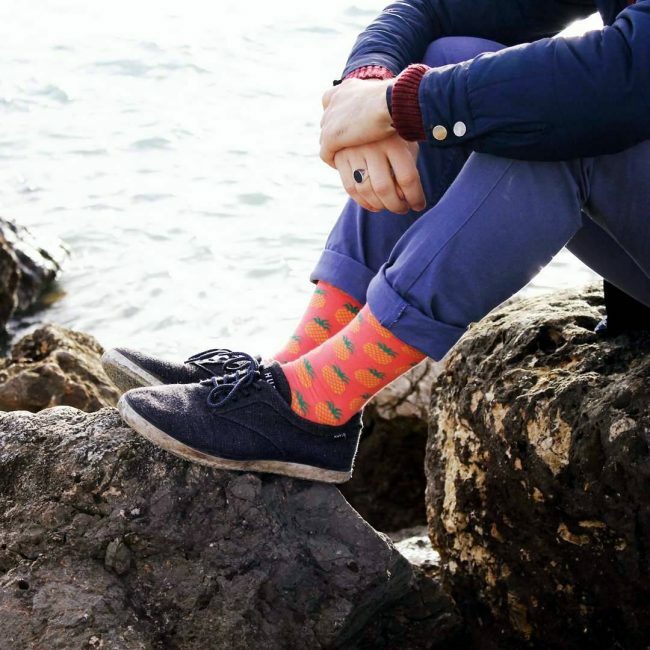 You can also style this pair of socks if you are planning to relax at home or at the beach. They feature a black color on the cuff, short-low heel and on the toe. It also features funny random characters and horizontal lines of many colors on the leg and foot areas. 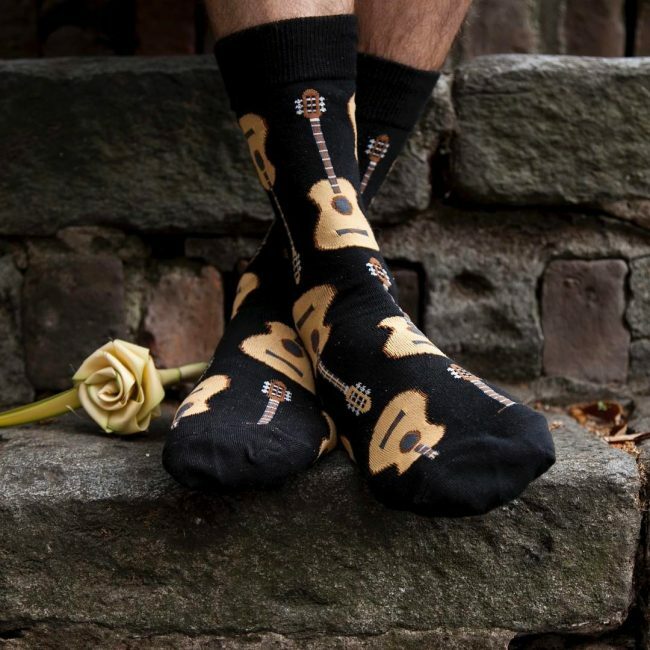 These socks are like music to anybody who wears them. They are designed from a black dyed fabric with symbols of guitars all over the fabric. 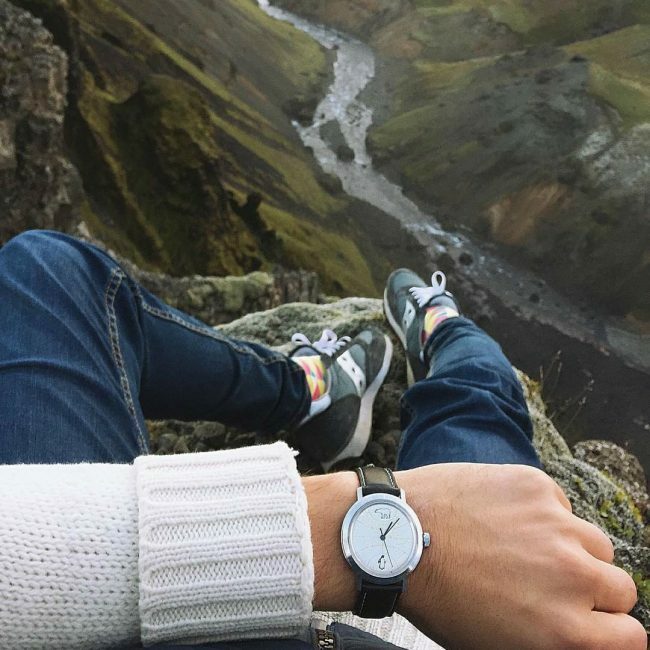 The areas around the cuff are designed from a dense knitted fabric for durability and comfortable fit. This is a pair of novelty socks with dark green cuff, short-low heel and toe. The rest of the body including the foot and leg area designed from a fabric with rectangular boxes in light orange and yellow. 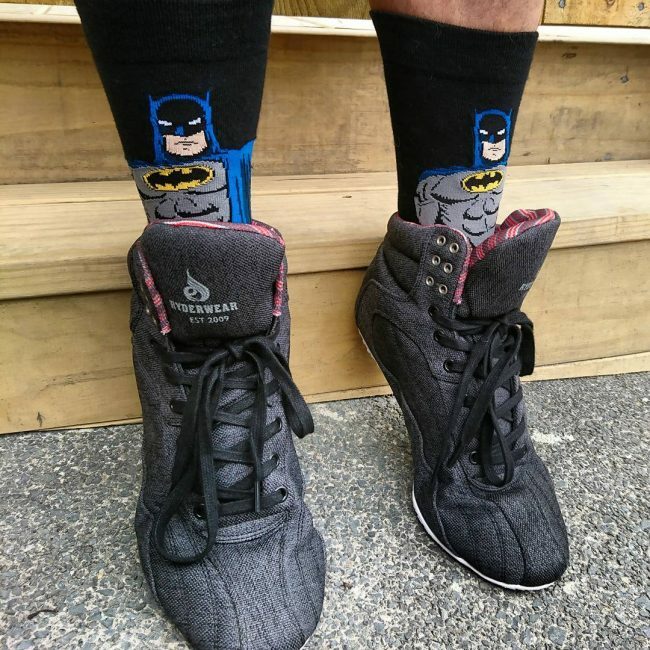 If you love superhero socks, you can save the world with these awesome batman socks. 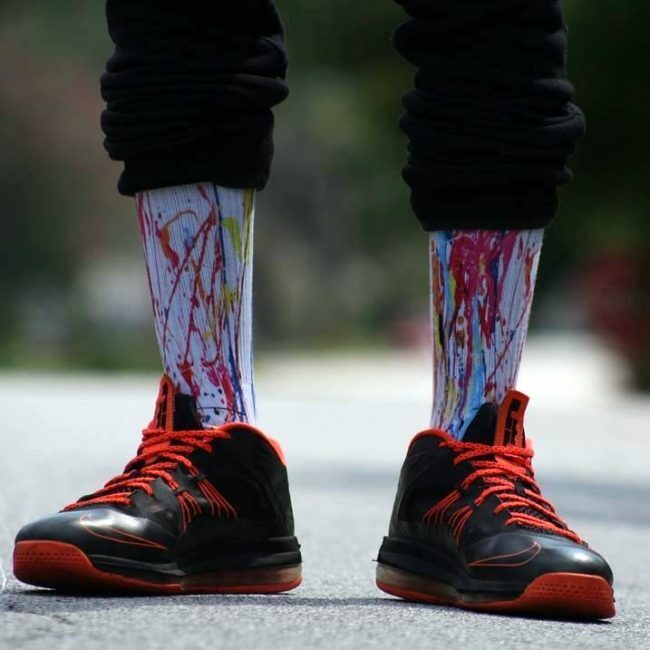 They are designed from a black knitted fabric with a batman character on the front section of the leg. These are unique items that give you strength to solder on. Life becomes too long when you style wear these fun and beautiful mix and match socks. They can also be fun and a perfect gift for all ages. Why not try them today because the colors complement each other and the designs match. Why not keep yourself fresh throughout the day with this pair of pineapple print crew-length socks. Their cotton blend construction features a rib-knit trim for a comfortable fit and a solid toe, heel and cuff design. 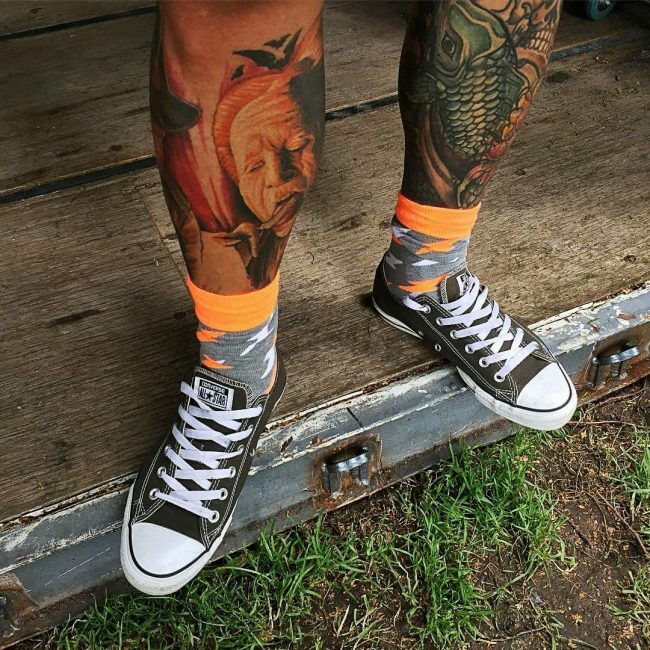 Short socks have become the hottest new trend in legwear that every man wants to embrace. They feature a compressed metatarsal especially in the mid-foot region. They guarantee optimum moisture and heat management so they are perfect for winter and summer season. These are socks that simply talks. They may be telling you what you want to do. 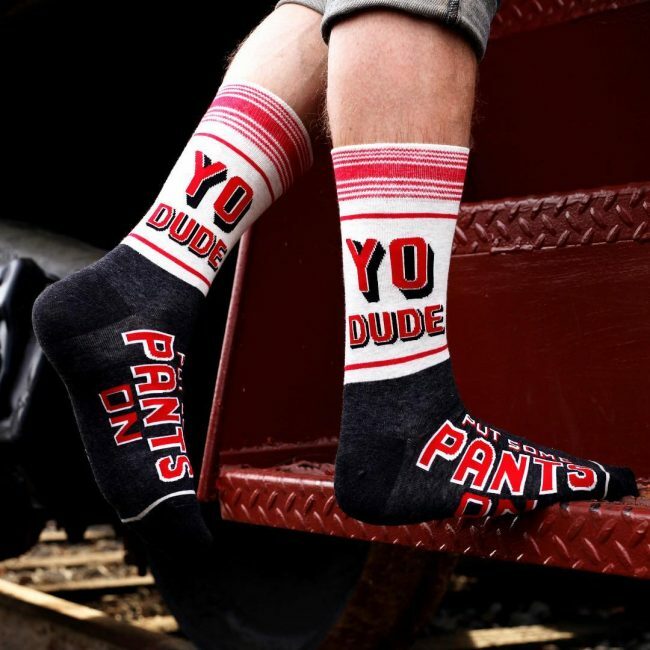 For instance, this particular design comprise of “You Dude” and “Put Some Pants On” lettering. One half is white with horizontal patterns while the other half is plain black. 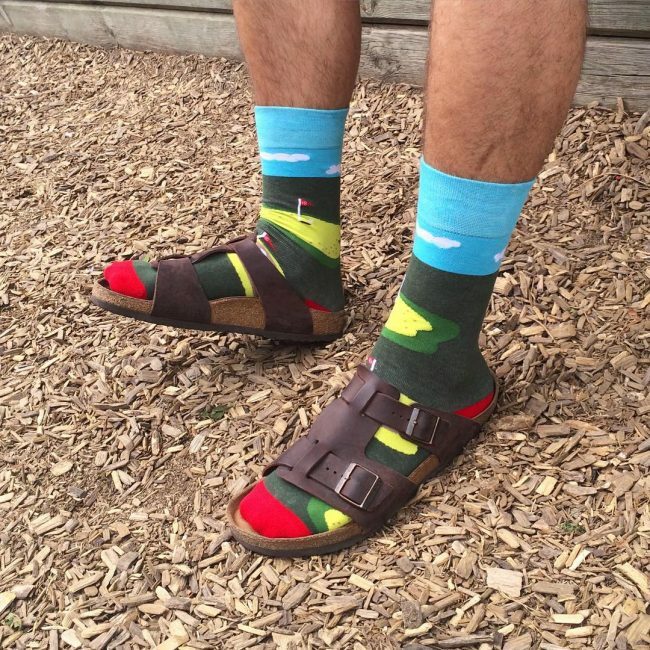 This is a pair of socks features patterns of Multi-colored rectangles all over the leg and foot region. The rectangular shapes are designed from fabric that has been dyed with blue, purple, brown and yellow dyes. You can style them with any type of shoes from your wardrobe. 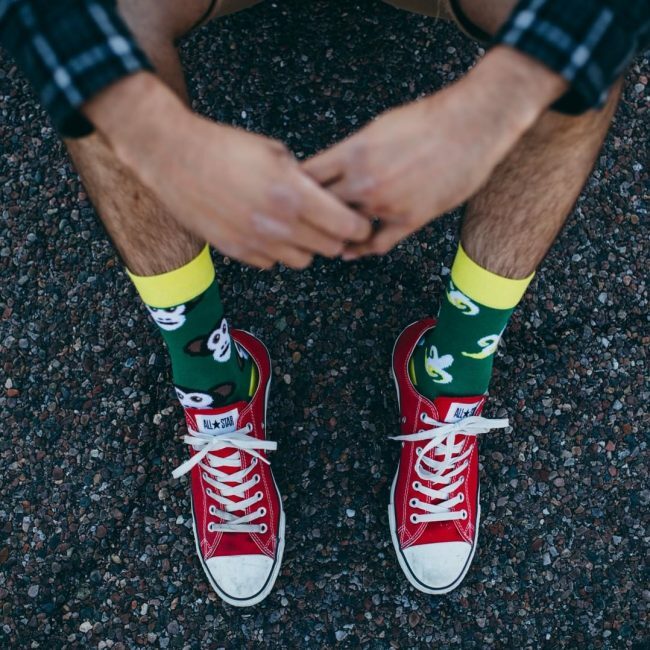 You can add some fun to your style with crew patterned novelty socks. 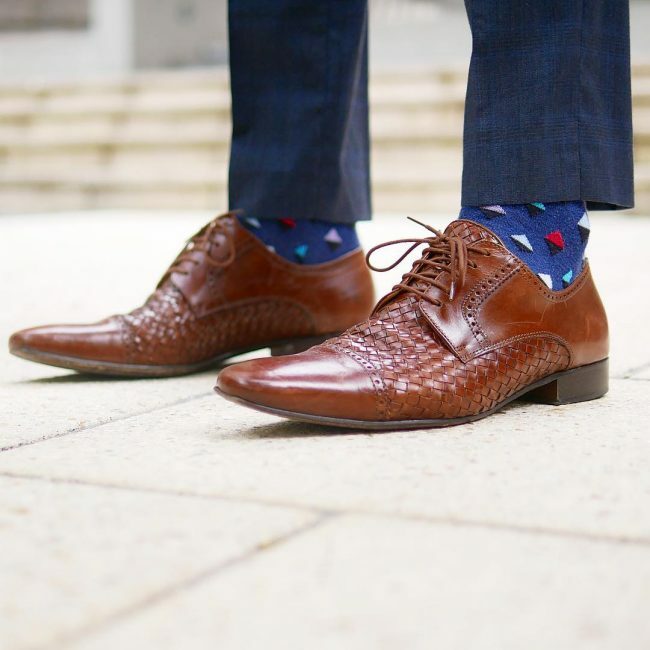 These are perfect socks for any occasion whether formal or casual. They are so comfy that you can wear them when going to office or when going out. This pair of socks features a bold red and white stripe weave on the leg and foot parts. They also feature a solid red weave at the calf, toe and short heel parts. They are available in a variety of sizes that fits most teens and adults. 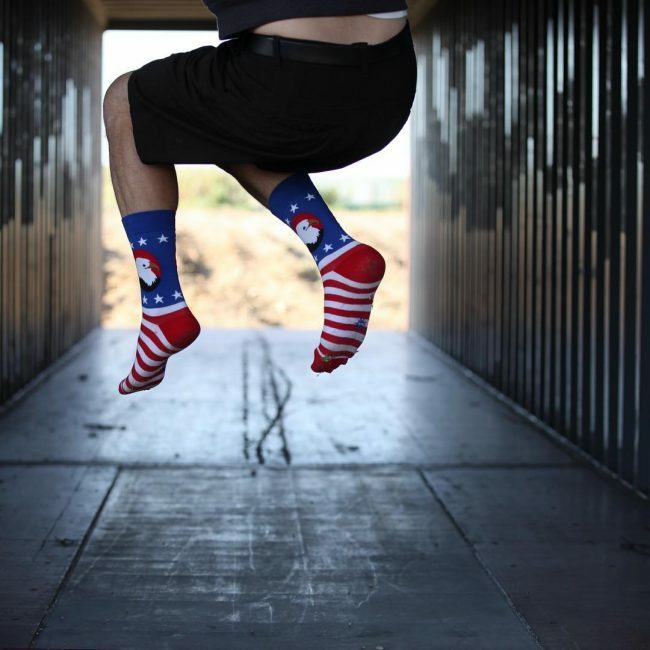 Proudly embrace and show your patriotism with this pair of American flag socks. 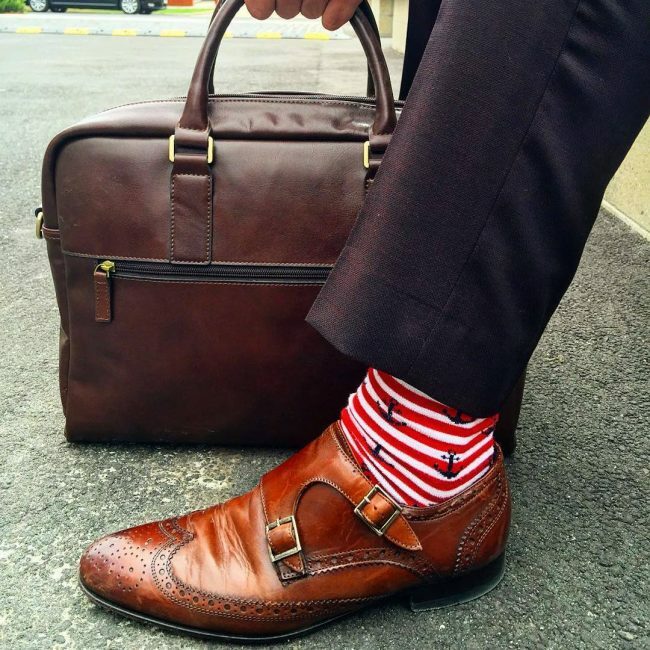 The socks are simply referred to as patriotic socks, and are vibrant and vibrant enough for major holidays. They are made of nylon, cotton spandex blend and come to approximately mid-calf. These are socks for married people or those who are in a relationship. They will assist you and your partner love everywhere you go. 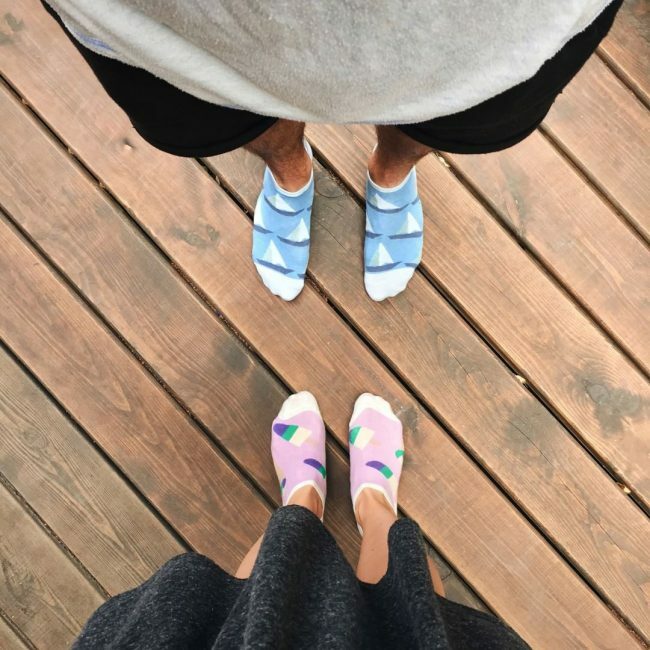 If you are looking for a unique gift for couples, these socks will always do the trick. 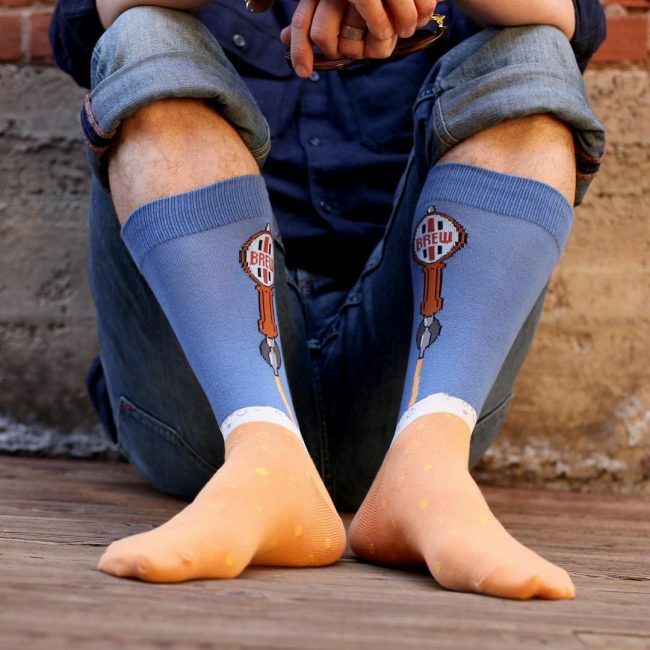 These are socks for dads and kids who love space exploration. If you are one of them, you can grab these socks for yourself and kids. These black low cut socks for children and adults are decorated with awesome scenes from outer space. If you wake that morning and you can decide what socks to wear, you can choose combo socks. 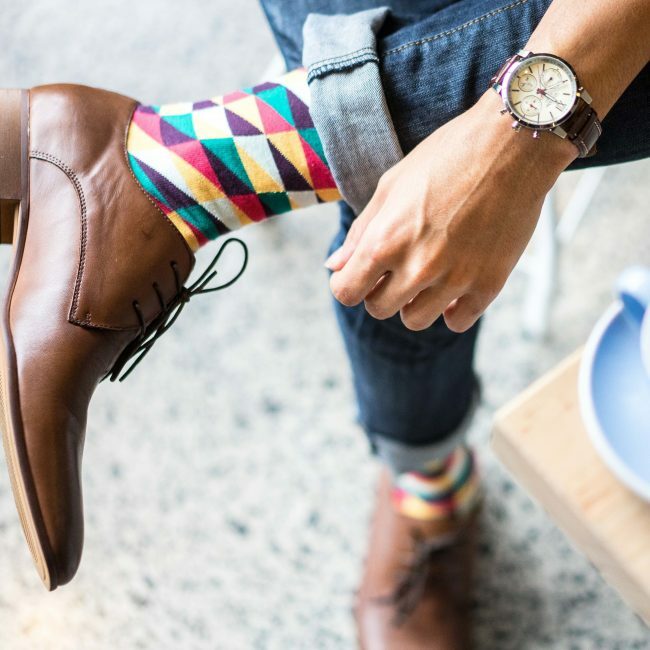 These multi-colored mens socks comprise of different colors but they are of the same design and designed from the same fabric. 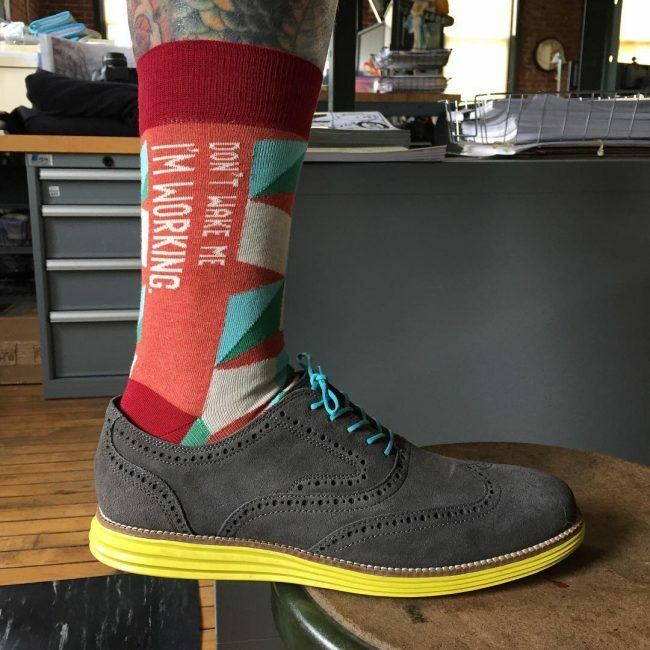 These are stylish and comfy socks with positive quotes that are aimed at inspiring and motivating you each morning you wear them. If you didn’t know these kinds of socks exist, now you know. It is time to get them to stay inspired and motivated. These socks are made of fabric that has been painted with yellow and dark grey dye. 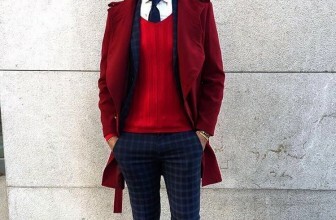 If you want to pull out that smart bad boy look, just pair them with sport shoes, sneakers or rubbers. You will be surprised that all eyes will be always on you and not your shoes or other outfits. 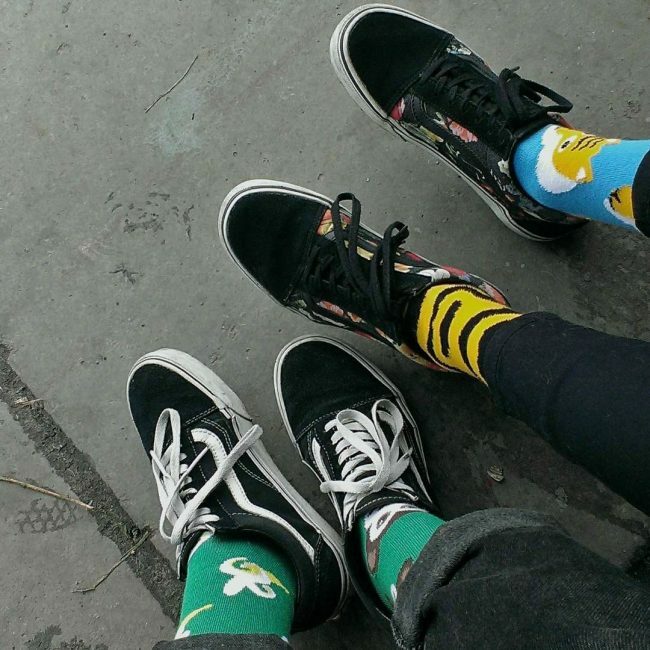 These are yellow and light green socks with crazy smiling characters. A pair of these novelty socks will not only make you happy but also cheer you up in the morning and the moment you take them off to relax on the sofa set. They are perfect for everyone and available for both children and adults. 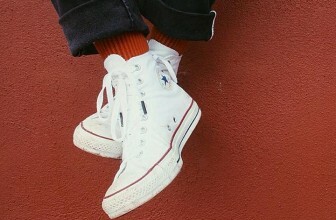 These socks feature orange cuffs, toe and short heel. The rest of the body is gay in color with some random patterns in white and orange all over the fabric. They are cool selection which you can style with rubbers, sneakers or sport shoes. Mam pow novelty crew socks will have you completely ready to save the day. 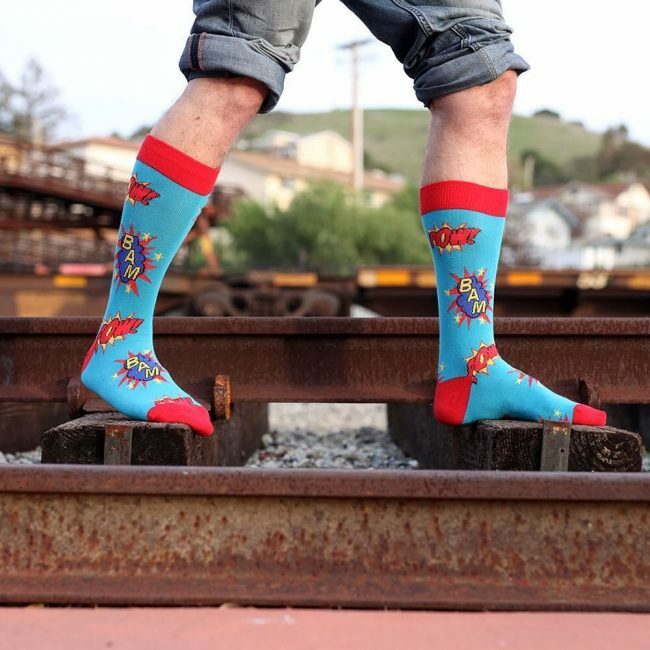 These are awesome socks that feature a light blue color fabric with comic book style such as BAM and POW. They also feature a red contrasting cuff, heel and toe. This is a pair of novelty socks with dark green cuff, short-low heel and toe. The rest of the body including the foot and leg area designed from a fabric with triangular shapes in light blue, purple, red, white and red. This is another type of beer socks that you can style in 2017 with any type of shoes. 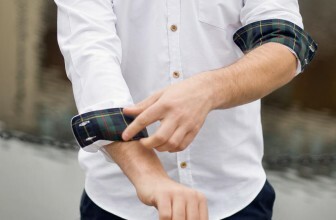 This half part (the cuff and area below) features a navy blue fabric while the other half features a light brown fabric. There is a single white stripe at the ankle. This pair of novelty socks features a light yellow cuff, short-low heel and toe. Other parts including the leg and foot sections are designed from green fabric with random patterns of white-yellow and white-brown. They are important type of socks for casual occasion. 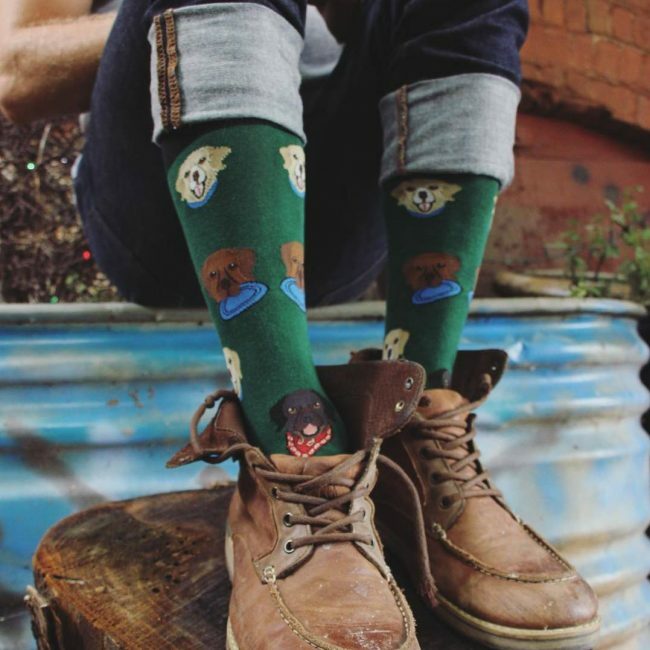 You can show the love you have for all mixed breed dogs by wearing a pair of these socks. Underneath the large tan paw print slightly above the ankle, the sock is printed, My Mutt is a Purebred.” Another feature of these socks are red cuffs, toes and heels. 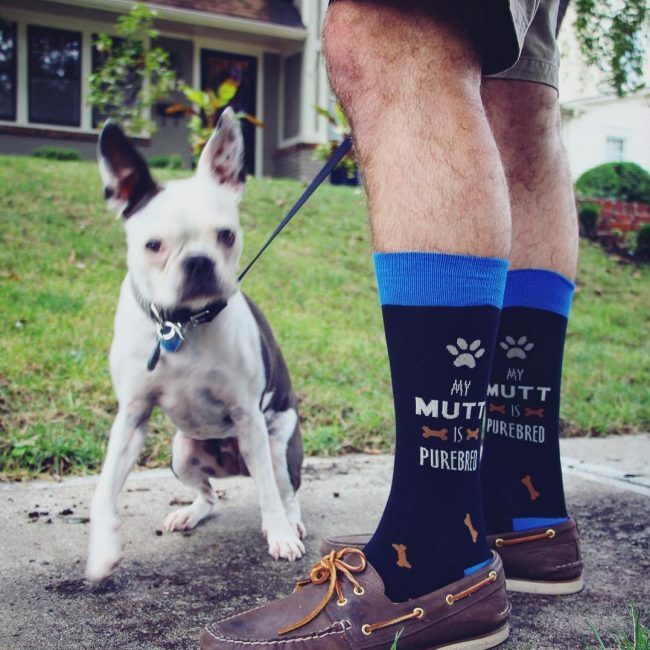 These are trendy and funny novelty socks with dog characters spread all over the fabric. The socks themselves are green in color. They not only display the love you have for environment but also the love you have for dogs. They are perfect for everyone and available for both children and adults. Pimp up your socks drawer with a collection of these fluorescent paint socks. 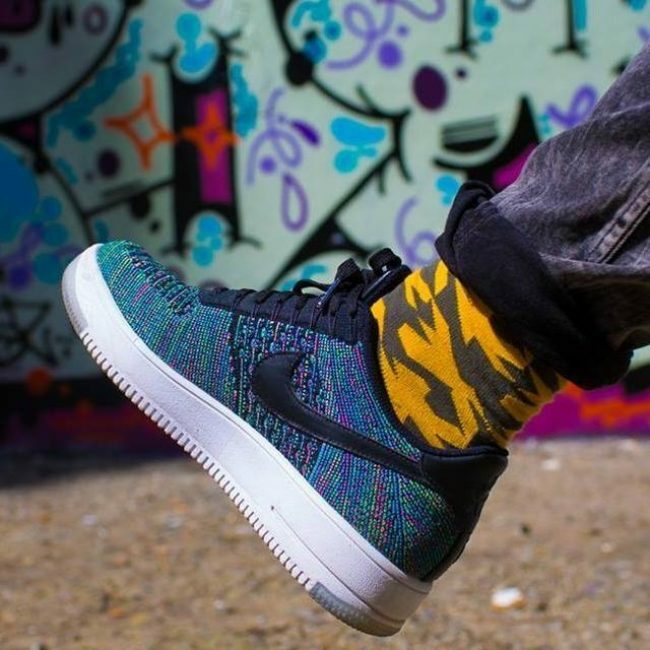 They are inspired by spray paint normally used for artwork and graffiti. They are perfect for everyone and available for both children and adults. 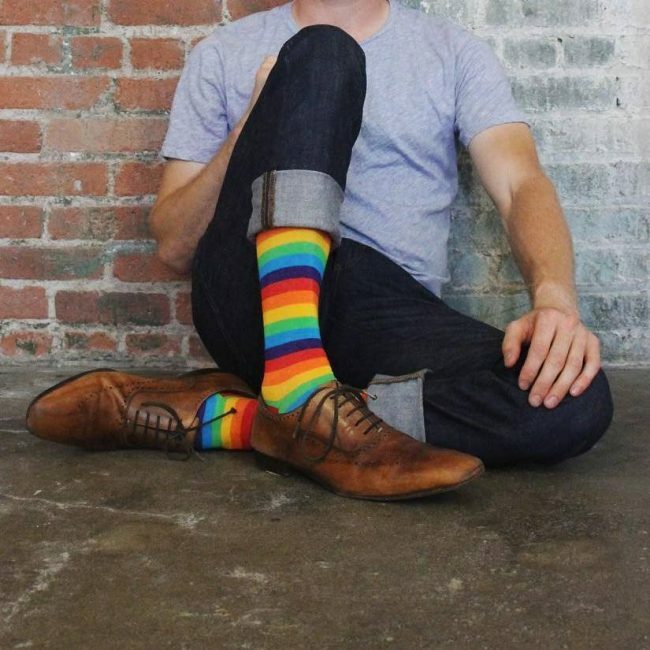 These rainbow striped socks will compliment your unique style of dress and also support your winning game. They feature a fun and funky multicolor design with added stretch. They are perfect for everyone and available for both children and adults. 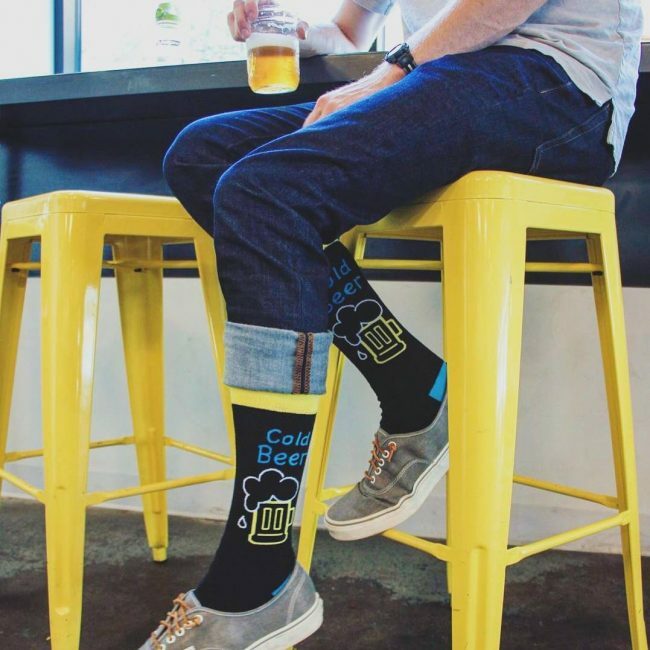 Do you plan to attend unique festivals where you would be happy to style fun socks to show off the love you have for beer? These are ultimate socks for you. 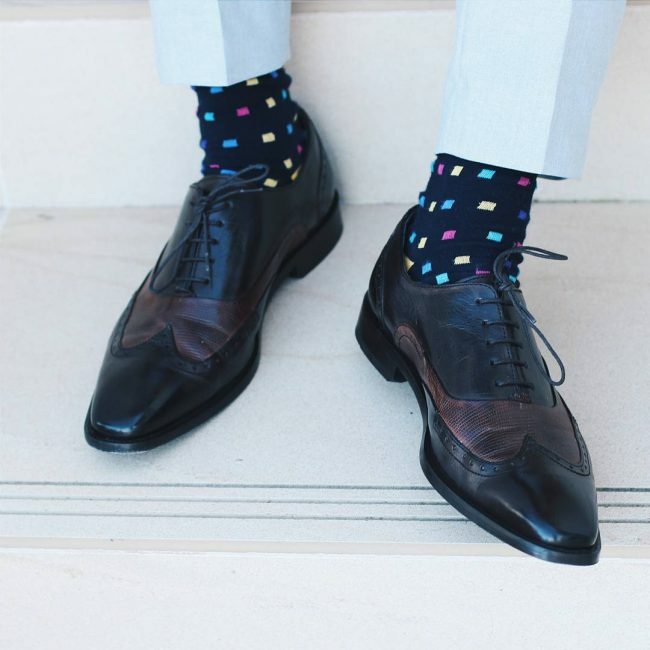 These socks are not only comfortable to wear but they will also let your legs do the talking. The cuff and some areas of below are designed from fabric that has been dyed with light sky blue dye and some bits of white. 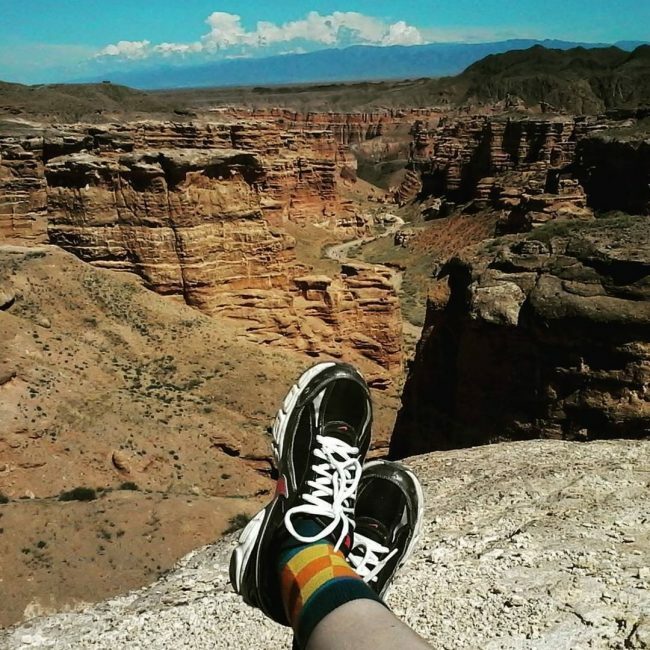 Other parts of these socks are designed from fabric that has been dyed with black dye with a mix of green, yellow and red. 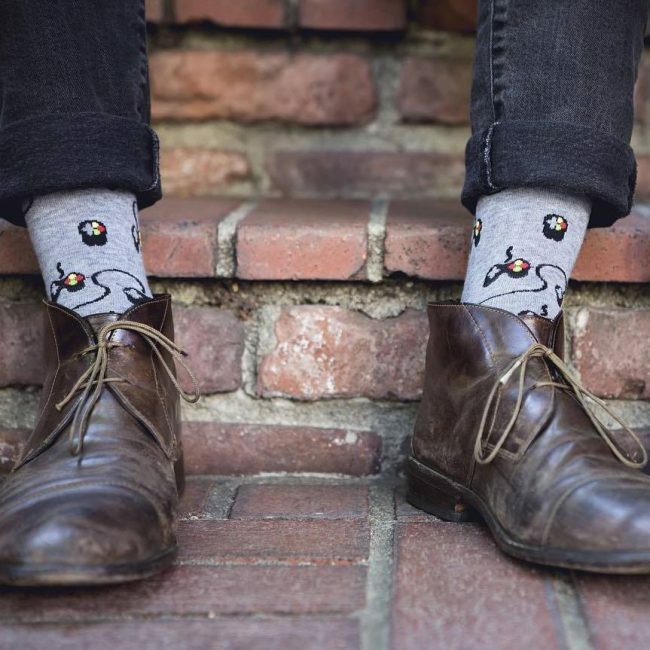 These socks are black in color and designed with laughing characters all over the fabric. The heel, toe and trim parts are also black in color. They are made of high quality cotton spandex and available in almost all sizes. 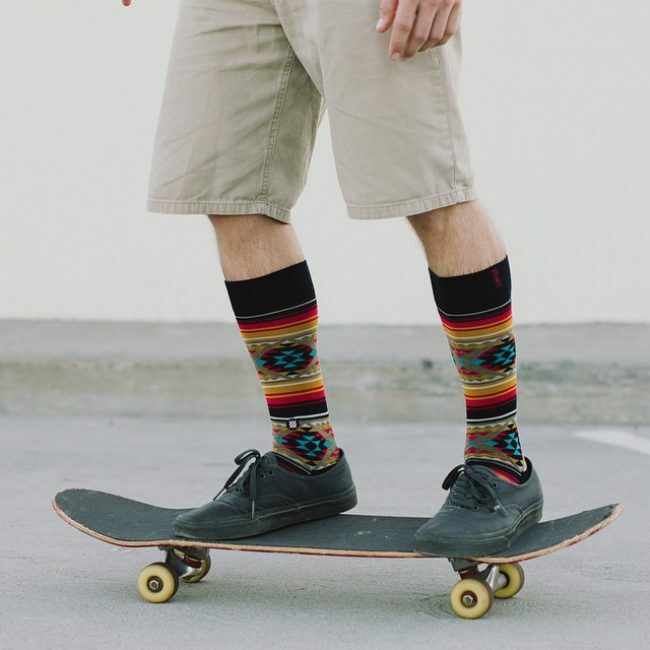 Show your personality with a pair of these awesome novelty socks for men from K. Bell. They feature funky and cool characters spread all over a grey background. 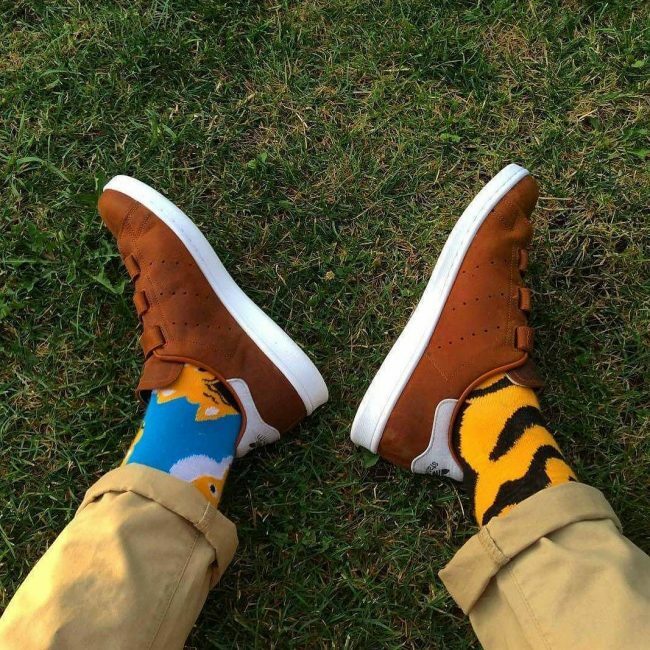 They are fun and fashionable socks for everyone both young and adults. 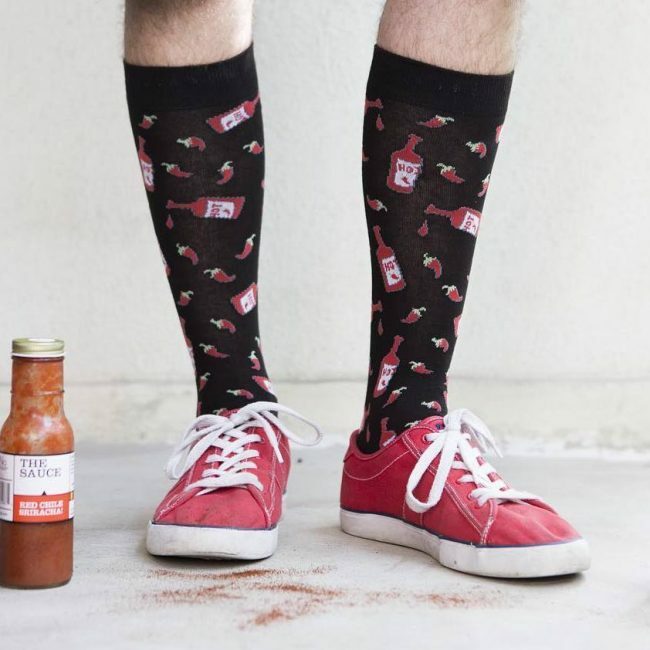 You can grab this pair of Hot N’ Spicy socks which features bottles of red hot peppers and hot sauce spread all over a black background. By rocking them, they can help you show off your hot and spicy personality. This pair of socks is dark blue in color with connected triangles of different colors spread all over the fabric. They go extremely well with any trouser. For instance, in this image they have matched well with the blue patterning on the trousers. 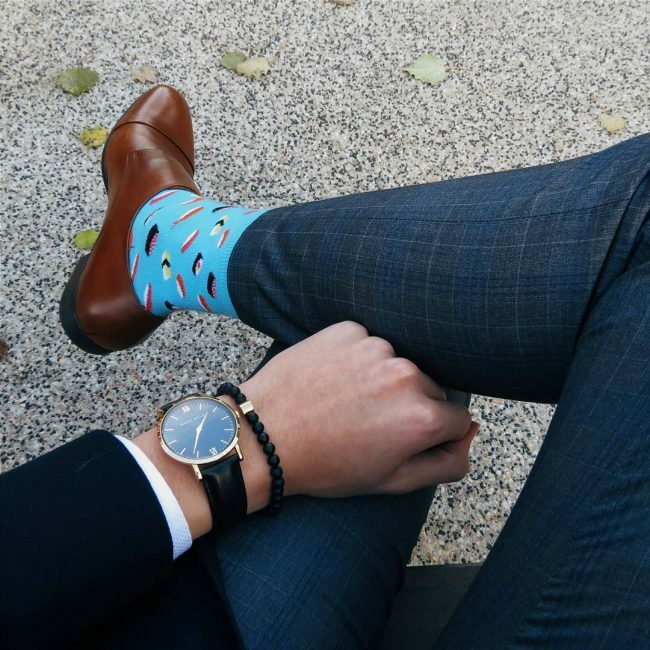 This pair of socks is sky blue in color with small details which make a huge difference. They go extremely well with any trouser. For instance, in this image they have matched well with the blue patterning on the trousers. 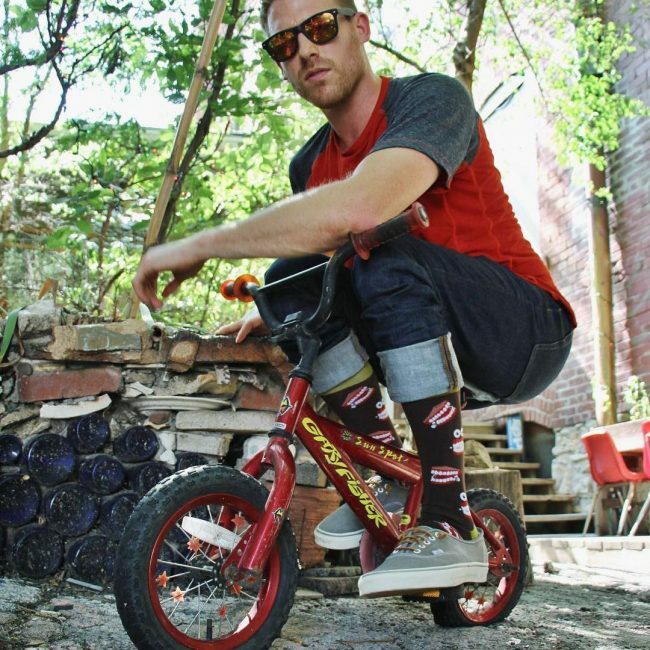 These socks are perfect for bad boys who don’t care what to wear them with. They are designed from a black dyed fabric with symbols of small boxes of different colors all over the fabric. 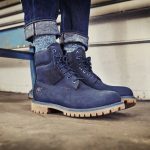 The areas around the cuff are designed from a dense knitted fabric for durability and comfortable fit. If you simply cannot get fully satisfied with your candy or sugar craving or cannot get enough dark chocolate, these cool dessert socks may help you overcome your food craving. They feature cake designs that will help you overcome your craving. There are several novelty socks ideas that you can find on the internet. These are the main ones that I said will allow your personality to shine throughout any occasion whether formal or casual. They also brighten up your day and put a smile on your face. Get yourself a pair of these socks online and pair them with any type of shoes and clothes from your wardrobe.